So it’s my birthday. I am turning 29 this year. As a tradition since I’ve met my wife, we need to get a wonderful dinner at some fine restaurant. This year, my birthday also happen to be the date for my house moving to a new place. A bit tired but we need to keep the tradition going. Secret Recipe is the easiest choice for us. We plan to go to The Glass in Suria Sabah but, meh, to far. Secret Recipe is much accesible. Plus it was Family friendly. The Glass seems not so Family Friendly as their floor is cover with carpet. For someone who has an active 1 years plus child, that was not a good idea after all. The carpet will be ruined by leftover food by my daughter. We visit Secret Recipe quite a few times since our student time. Not much changes, we just had to eat something for my birthday. 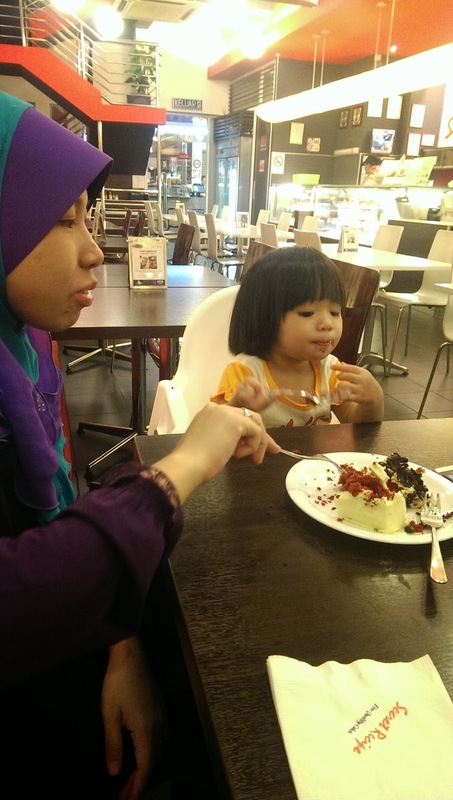 We chose Warisan Square Secret Recipe as Centre point Secret Recipe is a bit small. 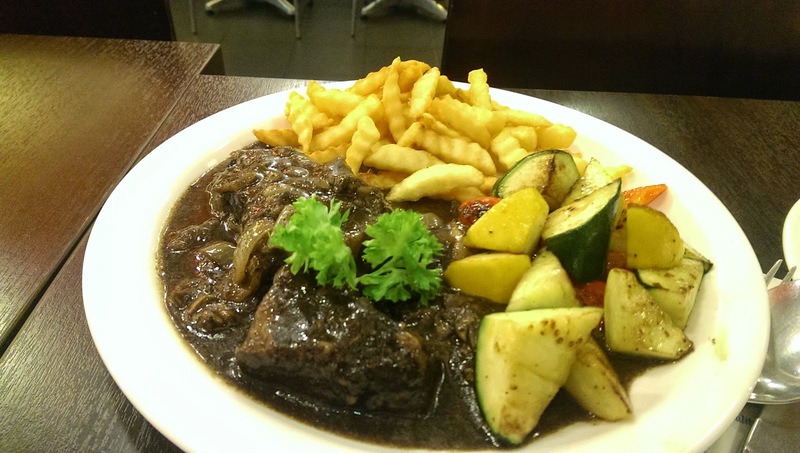 As usual, I will order my favourite in Secret Recipe, the Aussie Beef Stew Steak. My wife with her Mozarella Baked Fish accompany with a slice of Red Velvet cake for both of us and a Black Pepper Lamb Pie. For our daughter ( now already three of us celebrating as compare to only two people before…. I guess I can say 4 people now..my wife is pregnant. So, nevermind a bit more food eh) a simple Kids Meal Fish and Chips. To my surprise, this one secret Recipe was not bad after all. Very different from what I get usually. The Beef Stew steak was so exquisite. The sauce, the chips, and the vegetables was so perfect. Previously, the vegetables were boiled cauliflower and carrot. Now they serve nicely grilled zucchini and bell pepper with the stew. The gravvy is so delicious until I didn’t left any leftover. My wife dish also not bad. 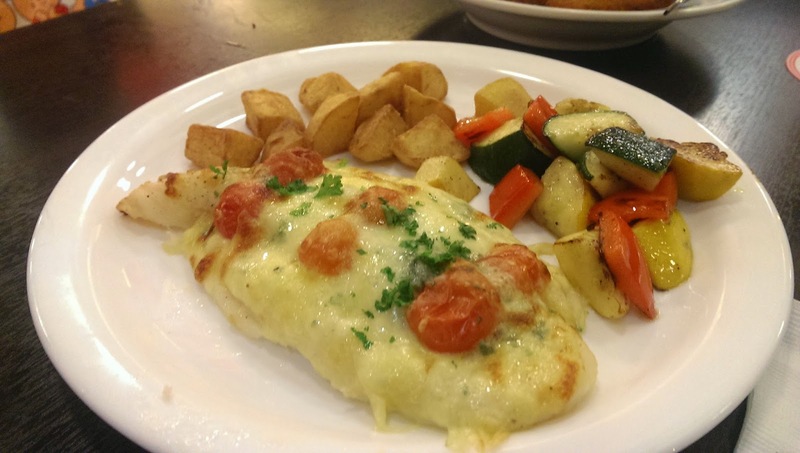 Generous amount of mozarella cheese is all I can say about it. My Daughter Fish and Chips caused both me and my wife wondering what they put inside the fish that cause it to taste so nice. Is it herbs? Cheese? We do not know but it taste nice. 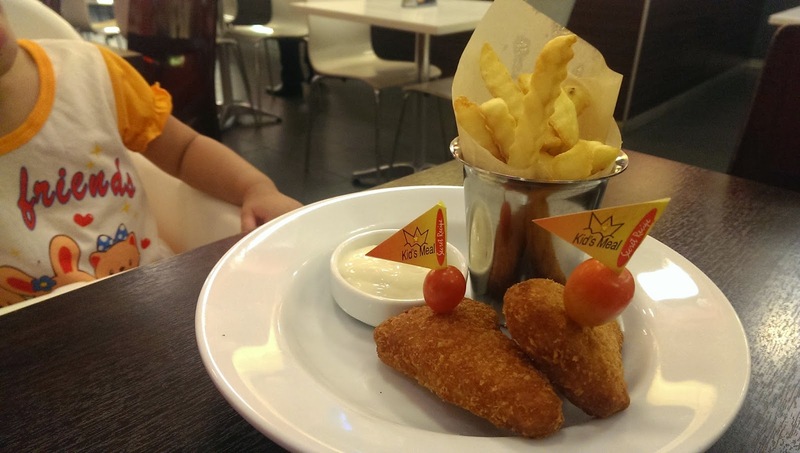 We end up finishing my daughter fish and chips as usual, she only eat a bite and play with the rest of the food. 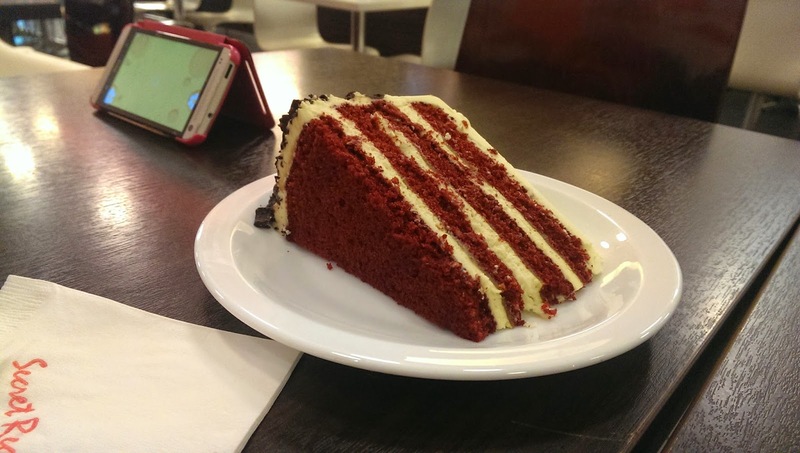 The red Velvet Cake is superb as expected from Secret Recipe which specialise in baking cake. The sweet sour and creamy taste of the cake make us want to order a second. But we had enough for the night. 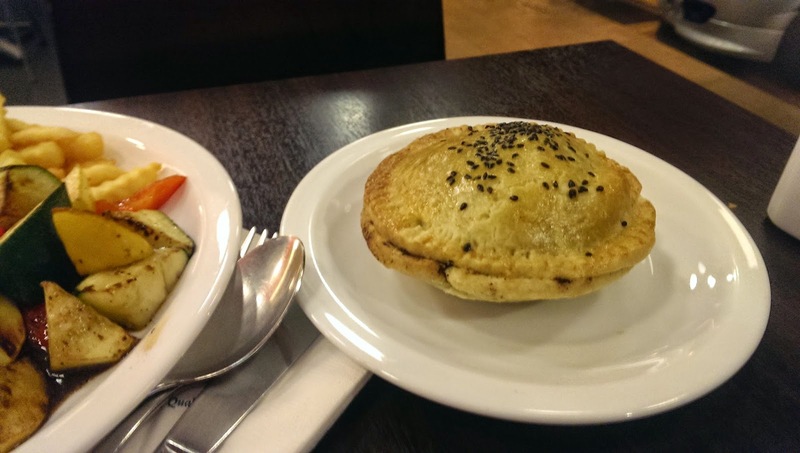 The only thing that feel normal that night was the Black Pepper Lamb Pie. I always order this when I am in Secret Recipe. This pie still taste the same as before. Nothing special about it. But it was not bad. Just we had to much food we can’t finish it in the end. I believe all franchise restaurant should have the same taste no matter which branch you visit but I have to make an exception for this one, I am not sure why but Secret Recipe in Warisan Square Kota Kinabalu just taste superior compare to the other branch in Kota Kinabalu.